Capitalizing on the skills of our dedicated team of professionals, we are into presenting an enormous quality range of Bronze Compact Pressure Reducing Valve. 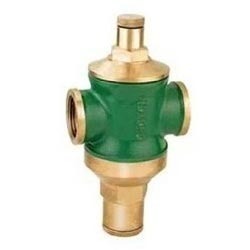 Bronze Compact Pressure Reducing Valve is made by utilizing high grade quality raw material and under the strict supervision of our skilled and experienced professionals. These products are available in the maret at leading prices.